A structured play setting, where children with complex needs, can make new friends, in a comfortable and relaxed atmosphere. The Stephen Harrison Snooker Academy is a social enterprise based in Sheffield. 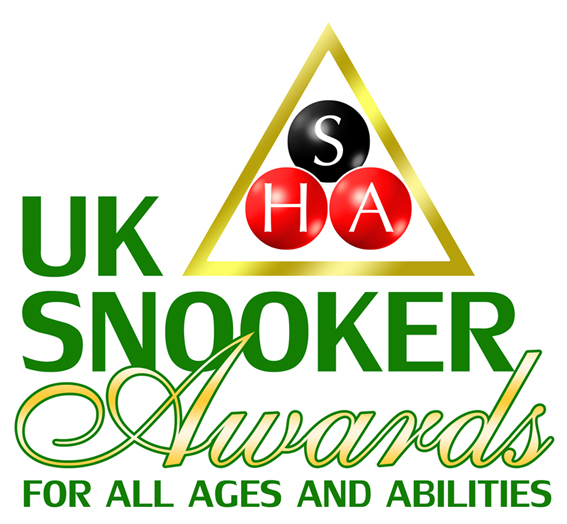 The academy provides all inclusive accredited snooker tuition for children and young people with additional needs, over 2,000 children per year benefit from the sessions that the academy provides, children come along and learn how to play snooker correctly, learning the basics of the game then progressing to become excellent snooker players. 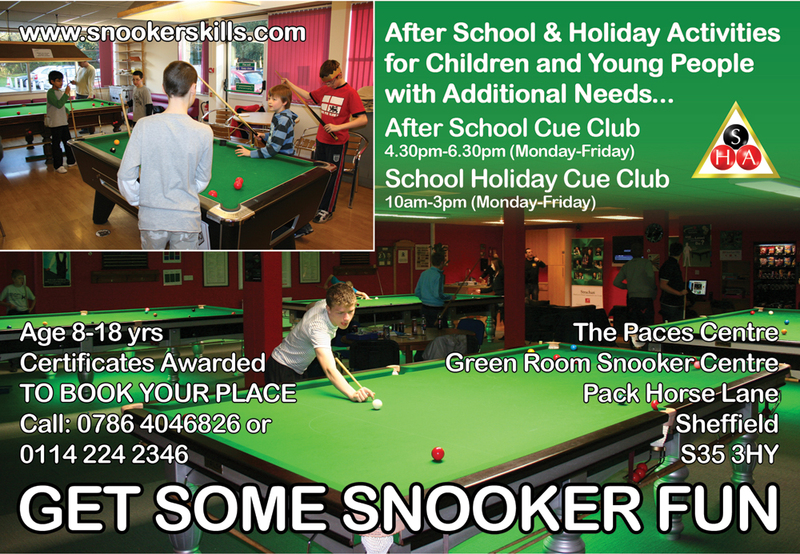 The sessions are run weekdays after school and Saturdays at The Green Room Snooker Club, High Green, if you are a parent/carer of a child with a disability and you would like to get your child involved in some inclusive snooker fun please call Stephen on 0114 2242346 or 07864046826 or email stephen@snookerskills.com or visit http://www.snookerskills.com/ you never know we might find a future world snooker champion from Sheffield one day. The Stephen Harrison Academy (SHA) is a Sheffield based social enterprise, established in 2007, whose mission is to use snooker and other fun activities to provide personal development programmes, mentoring and employment opportunities for a wide variety of disadvantaged groups. These include people with physical and learning disabilities or mental health problems, young people and adults not in education, employment or training. Since 2008 we have been running Saturday and Holiday Cue Clubs for children and young people with additional needs. The children who attend the play setting are referred via the local authority, due to high demand for the service we have decided to run more after school and holiday Cue Club provision. The Cue Club is a structured play setting where children with complex needs can meet new friends in a comfortable relaxed atmosphere. All our staff are DBS checked and have undertaken the following local authority training: Disability Awareness Training, First Aid Training, Safeguarding Training, Behaviour Management Levels 1&2, Team Teach Training, Working with Children Diagnosed with ADHD in a Play Environment, Working with Children Diagnosed with Autism in a Play Environment, Epilepsy Training, Working with Me Documents, Getting to Know Me, Qualified UK Snooker Awards Coaches.